Got stains? Grass, grease, mud and blood are no object for our power-packed Stain Remover. The built-in brush starts the job on stubborn stains. Colorfast, this powerhouse is ideal for all your laundry needs (except delicate fabrics). • Caution: Keep out of reach of children. Eye irritant. In case of eye contact, flush well with water. Seek medical advice. • Moisten fabric. Apply liquid to stain sparingly and work into stain with built-in brush. Wash as normal. Not recommended for wool, silk or delicates. • Aqua, lauryl glucoside, sodium laureth sulfate, sodium chloride, alcohol denat., fragrance, citric acid, subtilisin, linalool, methylisothiazolinone, benzisothiazolinone, cellulase. 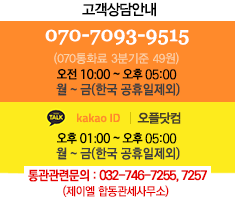 [사진有] 얼룩이 쉽게 빠져서 진짜 편리해요!